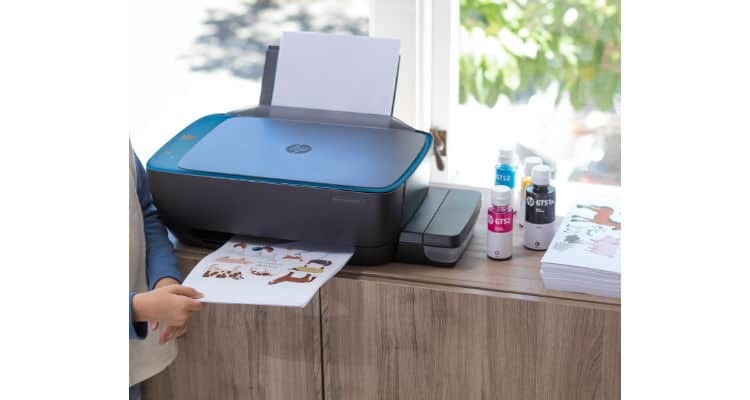 HP Inc. India has announced the new and upgraded HP Ink Tank Printer series for Home as well as Micro, Small and Medium Enterprise (MSME) users. The key benefits of these printers are the usage of High-Quality Ink, the ability to connect with a range of mobile devices through Wi-Fi Direct and Spill-Free Refill system. The Wi-Fi Direct function on the HP Ink Tank Wireless 415/419 Printer can be used by a variety of mobile devices, including iPhones and iPads using AirPrint, or smartphones and tablets running Android, Windows 8, or Windows 10. The Google Chrome operating system enables users to print from anywhere in the office, even without a wireless network[ii]. Additionally, the HP Smart app allows users to quickly send scans to email or cloud storage through their mobile devices. The new HP Ink Tank Wireless 415 Printer can print up to 8,000 colour pages with a set of three HP colour bottles and up to 6,000 pages with the HP black pigment ink bottle out of the box. The HP Ink Tank Wireless 419 Printer prints up to 8,000 coloured pages and 15,000 black and white pages. Replacing the ink tanks in the HP Ink Tank Wireless 415 Printer is simple and fuss-free. With HP’s innovative spill-free refill system[iv], the bottles can simply be plugged into the tank without any squeezing required. This mess-free refilling with resealable bottles adds on to the convenience of the users and minimizes wastage. Ink levels are also easily visible as the inks are contained in transparent ink tanks.